Please describe your background, experience, and research as it relates to transportation. I was born into a railroad family. By the time I was 12 years old, the Monte Verdes were part-owners of Genesee Valley Transportation (or GVT Rail), a fast-growing shortline and regional freight railroad system in Upstate New York and Northeastern Pennsylvania. Around that time, I started traveling with my father to various business functions on my weeks off from school. There were certainly fun elements to it, but more importantly, I learned at his side. In my first summer after high school I worked on the maintenance of way gang for the family business. We built railroad track in summer, and we swept and shoveled snow out of switch-tracks in the winter. You only have to do that through so many seasons before you decide if maybe you’re ready to go back to college (and really give it a go this time)! What initially attracted you to the transportation field ? As I mentioned, I was born into it. That doesn’t mean that one would make it their life, of course. But for me, it was the history of it all; that it was here long before me and will carry on long after me; and the visceral REALNESS of the railroad and trains. How long have you been a member of YPT? Which was your favorite YPT event you attended? 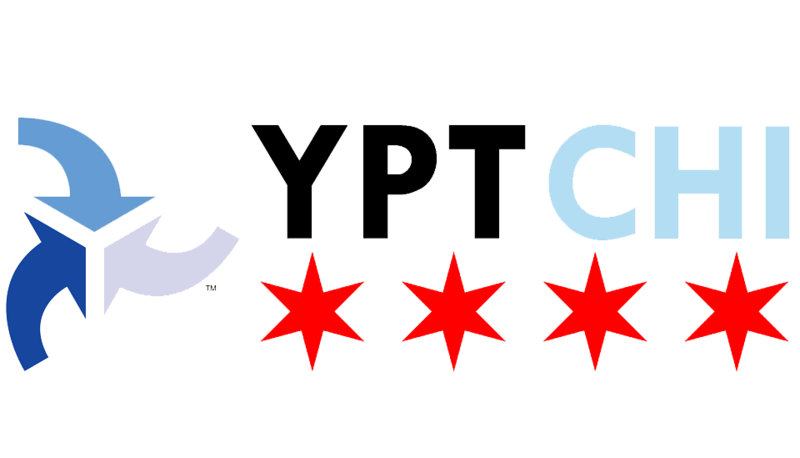 I discovered YPT-Chicago through a verbatim search for “young professionals in transportation chicago” in fall of 2012. My first event was the ‘brew line’ CTA Blue Line pub crawl in November of ’12. I don’t know that I’ve ever had a single day from which I formed so many personal and professional bonds. I’ve helped host many Chicago Union Station and Amtrak facility tours for YPT-CHI, but I have to say that first event that I attended remains my favorite. How has your involvement in YPT impacted your career/research/advancement in your knowledge of transportation? My involvement with YPT-CHI has broadened my understanding of the forward progress that transportation initiatives continue to make on an incremental basis. Working on passenger rail in the United States can be a frustrating enterprise, given that the industry has never really turned the corner in the public-ownership era. But seeing what’s going on in complimentary transportation sectors gives reason to believe that our generation will look at passenger rail as an indispensable element of getting-around and will grow it as such. What do you think is the biggest/most interesting challenge in transportation today? Matching the cranes in the sky with non-automobile-centric infrastructure on the ground. Congestion seems to be an after-thought in most urban development. Transportation options for under-served rural communities; we risk disenfranchising Americans with as much right to non-automotive transportation options as any city dwellers. I was a ‘stimulus baby,’ hired by Amtrak under the American Recovery & Reinvestment Act (ARRA). I consider my team’s efforts a wise use of taxpayer dollars.